A Division of D.C. Works inc. The five-and-a-half-acre Adventuredome is America’s largest indoor theme park and features thrill rides, traditional carnival rides, laser tag, miniature golf, bumper cars, midway booths, an arcade, clown shows and so much more. The natural lighting, high ceilings and canyon fixtures throughout the property gives you the feel of the outdoors, so you don’t feel claustrophobic in the least bit. Adventuredome offers enough thrill rides to keep you busy all afternoon. The Sling Shot shoots up like a rocket launch at a shocking 4 G force, while the Canyon Blaster takes you on a dashing 55-mile-per-hour roller coaster ride complete with a double-loop and double-corkscrew track. $24.00 for all day pass. Purchase your tickets at the registration counter in the lobby of the of the Venue at the Las Vegas Westgate where you pay for entrance to the venue. Cash only please. Blue Man Group discount tickets. Click on the photo to purchase your tickets. 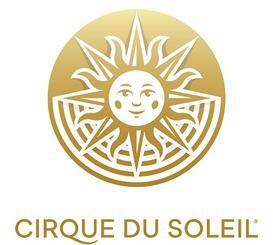 Click on the box below Logo to the left for discounts on Cirque Du Soleil shows.